Known to grow only in the area around North Rothbury, in the Hunter Valley. This lovely shrub has an soft, open habit, scattered with golden stars when in full bloom. The Hunter Valley District Group welcomes you. 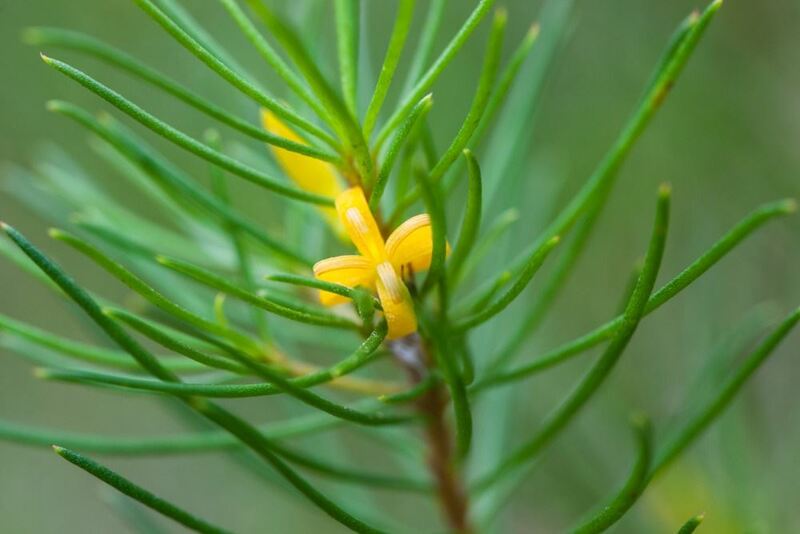 Our members are dedicated to promoting, growing and propagating native Australian flora. In addition to our regular meetings we also have field days at nurseries, botanical gardens, organic wineries etc. Regular meetings are held at the Polish Hall, Maitland. Third Wednesday of the month. Show-and-tell table, where members are encouraged to share specimens from their gardens or bring in unknown varieties for identification. Raffle- May include: plants, books, gardening tools, etc. (In season) Sale of seeds and plants propagated by members. In the summer, we meet week nights in Maitland, at the Polish Hall on the corner of Grant and Old Rose Streets. Summer meetings feature a guest speaker and evening tea. During the winter, weekend meetings are held at the private gardens of our local members, who often offer a tour of their native plantings. Held during the day, these events feature morning tea and an opportunity to share ideas and inspiration. Check our activities page for events. If you would like to attend, please contact Andrew Pengelly, our secretary, for more more information.